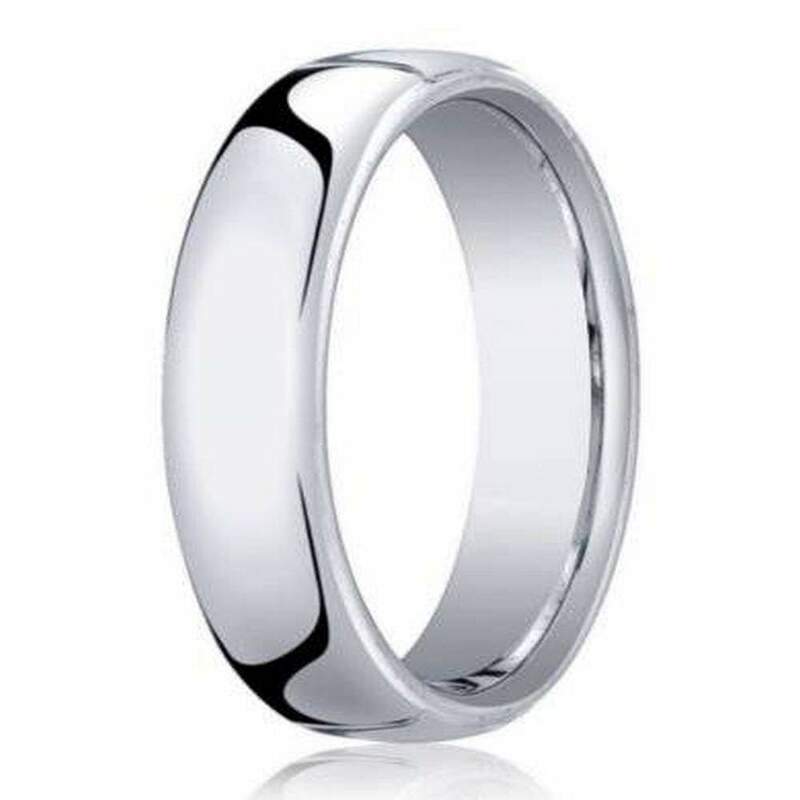 An instant modern day classic, this men's white gold designer band proves the timelessness of simplicity. Handsome 14K white gold has an ever-stylish polished dome shape and heavy fit, making it slightly thicker than standard sized rings. 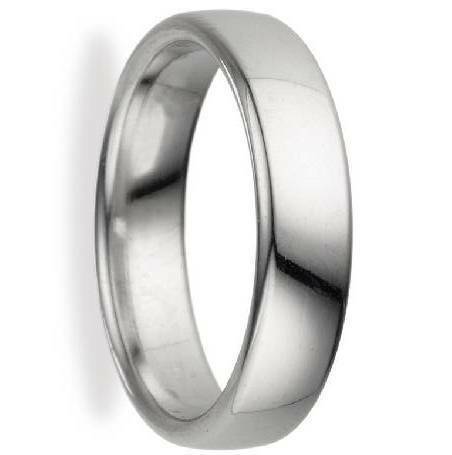 The 5.5mm wide comfort fit band makes for an enduring men's gold wedding ring. Comfort fit rings usually measure 1/2 size smaller due to the additional metal inside the ring. We recommend having your finger measured for a comfort fit ring at your local jewelry store. First let me say that this website offers fantastic prices. This ring is a genuine Benchmark ring. It includes an excellent warranty. Along with the ring you will be sent documentation to register your ring. I love the Euro-fit. It has less of a dome than a traditional gold ring. The 5.5 was the perfect width for me, so I was glad it came in half sizes. I love comfort fit. The ring has a quality feel to it. Inside the band it clearly states 14K. You won't be disappointed.